Mail is the best part of the day! Another week has gone by! It really is starting to go by fast. I’m almost to my 5 month mark… crazy! We had a really great week here in Meeteetse. The weather has been gorgeous! Seriously, I’m getting so spoiled to this springtime weather. It’s been in the 50’s almost every day- which means that the snow has been melting like crazy!! It’s actually been a pretty big problem around town. Pretty much everyone’s basement has flooded, and since a lot of the streets don’t have curbs or gutters, there has been a lot of standing water around town. Our poor truck is filthy! And we have been too! Every night we come home and completely wash our boots to get all the mud off. I’m starting to miss the snow! I don’t want to say that too loud though, because apparently March is the snowiest month here usually. The street we walk down every single day. Well, I’m finally over my cold! I went to the doctor on Tuesday and she put me on some antibiotics and told me I wasn’t allowed to leave our house for 24 hours. So we did lots of studies, and just worked extra hard the rest of the week! On Thursday, we threw a little birthday party for one of our seminary students. So fun! We got her a little red basket and filled it up with everything red we could find! And her mom made us all breakfast… we’re pretty spoiled! That night, we met with one of our less-actives. She is doing super good, and has been keeping all of the commitments we leave with her! We had invited her to fast with us last time, and she totally did! Finding out that people are keeping their commitments and drawing closer to Christ is that best thing in the world. Friday was a day filled with service. Earlier in the week, we had visited a recently reactivated elderly man. Every time we ask him if we can do anything for him and every time he says no! Well, last time he finally had something for us! First off, he’s like 97 years old, but he’s still pretty active and awesome. He tells us that he has a branch in his backyard tree that was broken, and he “couldn’t quite get it down”. So we’re like, “OK! We can do it!” We head outside, and you know, we’re thinking a “branch”. Nope, we’re talking about a limb! We manage to yank it down after like 20 minutes! So on Friday, a member came with his chainsaw and we got it all cut up and loaded into the back of the truck. We drove it out to the dump, and the dump was soooo muddy. 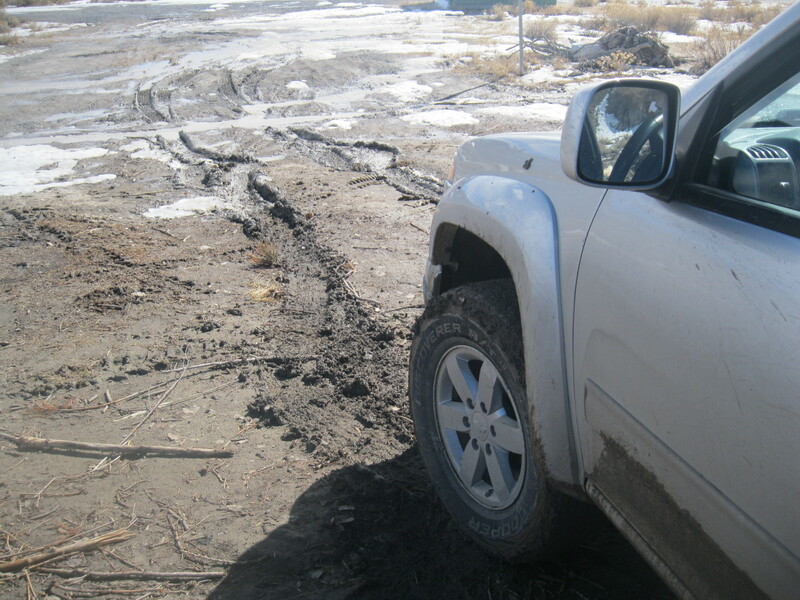 We got stuck at one point, and I had to put it in low 4 wheel drive to get us out! We were throwing mud everywhere with the tires. It was quite the adventure! We also had a really great lesson with another less-active this weekend. She’s a young single mom who has had a hard life, but is really working on coming back to church. We talked to her about forgiveness, and she broke down and said that she hasn’t been able to forgive herself of certain things. 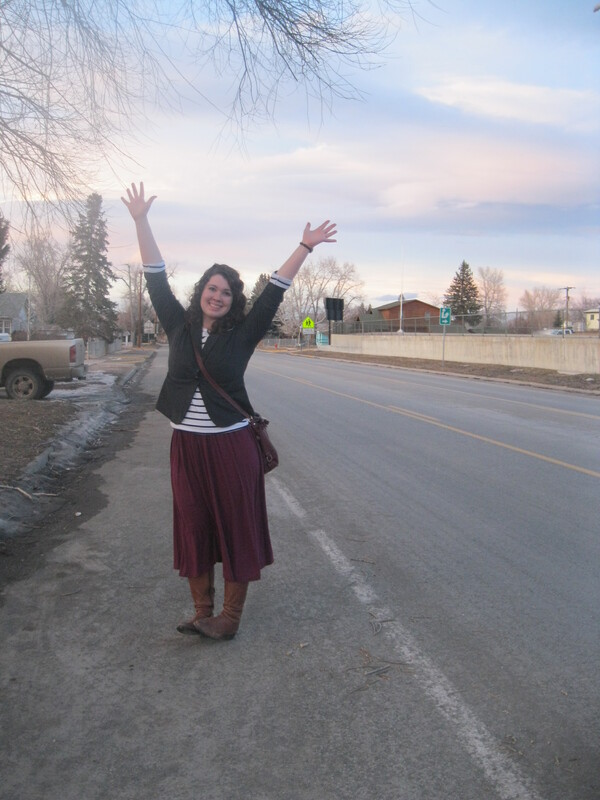 We testified of the atonement and challenged her to pick a date to forgive herself. She did, and we talked to her again on Saturday night and she had truly felt the redeeming power of the atonement! It was a really incredible experience. We asked her on Saturday what we could do to help her remember to read her scriptures and pray. She jokingly responded, “Lots of post-it notes!” And I just responded, “Challenge accepted! !” So on Sunday we covered her front door with post-it notes and ding-dong ditched her. It was so fun! 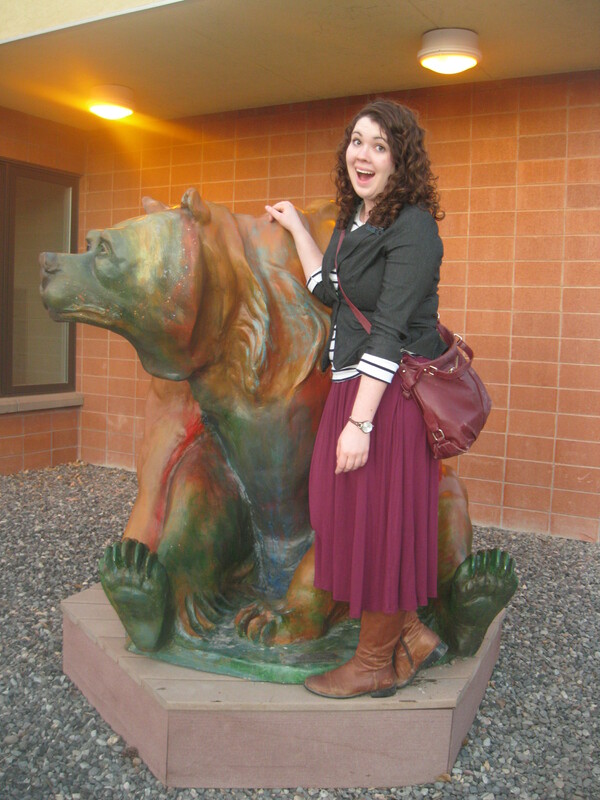 There’s tons of bear statues around town. Well, that’s about it for me this week! I hope you all have an amazing week! 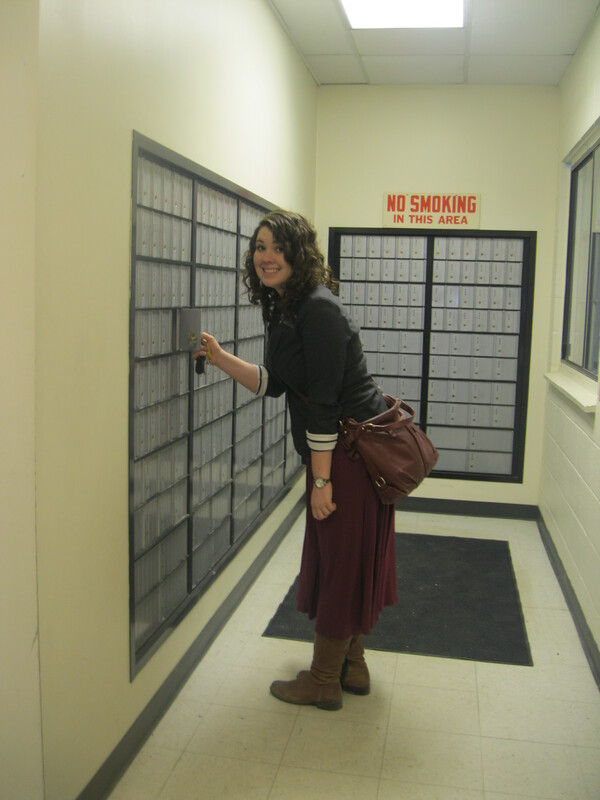 ← From your favorite Sister Missionary!